Neotion manufactured Irdeto Skylink CI Plus CAM with unique Chip ID for use with Czech TV Skylink (CSlink) Irdeto encrypted services. Powered by NEOTION in-house silicon technology, the NEOTION Plug-n-Play CAM enables Digital TV sets (iDTV) and Set-Top Boxes to decode TV programs scrambled with Conditional Access System IRDETO (TM) Dual Mode - Softcell 3.11 (compatible with lower version). Inserted in the Common Interface (DVB-CI or CI Plus) slot, NEOTION CAM allows viewers to simply benefit from the booming emergence of MPEG-4 / MPEG-2 and HDTV channels scrambled with IRDETO on their digital receivers. 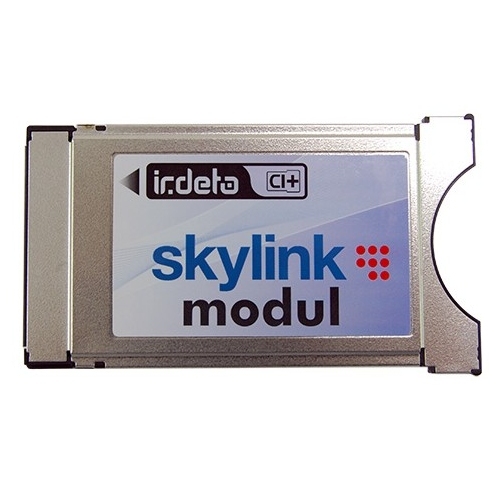 excellent product, excellent and fast service..
Click the button below to add the Irdeto Skylink CI+ CAM (Neotion) to your wish list.